Dr. Nisson received his bachelor’s from the University of Maryland in 1977. He graduated from the University of Georgia College of Veterinary Medicine in 1981. After practicing for several years in California he and his wife Debbie moved back to Maryland to open Muddy Creek Animal Hospital in 1988. Since then it has grown into a five doctor hospital with 30 employees. Dr. Nisson has been voted best Veterinarian by the readers of Bay Weekly Magazine. Dr. Nisson enjoys eco-travel and, most recently, went to Bostwana, Africa. He and Debbie have an African Grey Parrot, 2 parakeets, 2 donkeys and 3 dogs named Lilly, Levi and Francis. Dr. Gray received his bachelor’s of zoology from University of North Carolina Chapel Hill in 1985. He graduated from North Carolina State University College of Veterinary Medicine in 1990. 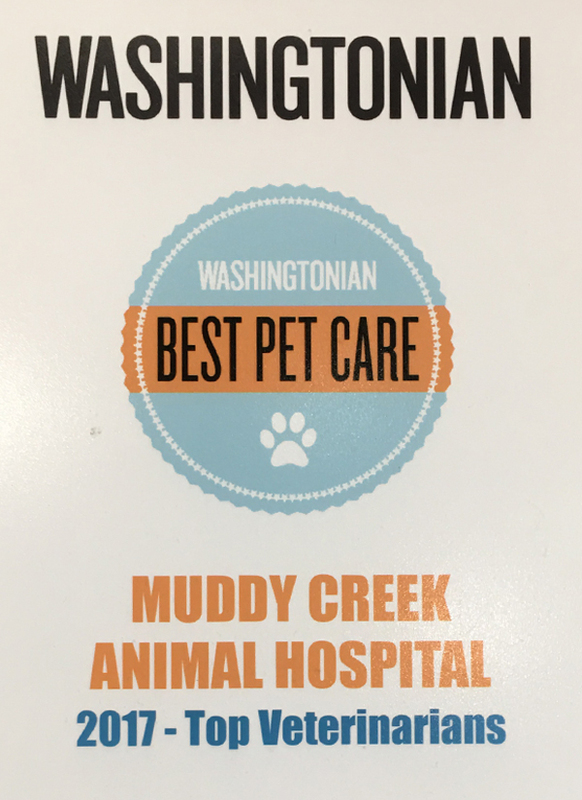 Dr. Gray has been practicing at Muddy Creek Animal Hospital since March 2001 and became part owner of the hospital in June 2003. His main veterinary field of interest is internal medicine and multimodal pain management for dogs and cats. He also travels throughout the state going to various different animal hospitals to educate them on multimodal pain management. Dr. Gray enjoys playing golf in his spare time and socializing with friends. He and his wife, Wendy, have 2 cats named Elroy and Hugo. They also have an energetic, fun-loving pitbull mix, named Lucille and an adopted 11 year old Pit Bull named Checkers. 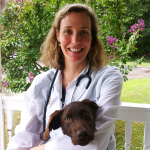 Dr. Haldeman received her bachelor’s of biology from the University of Richmond in 1997 and graduated from the University of Pennsylvania School of Veterinary Medicine in 2001. Her special interests are internal medicine, ultrasound and traditional Chinese Medicine. Dr. Haldeman became a certified acupuncturist in 2014. She is also a certified member of the Penn Hip Improvement Program for the evaluation of dogs for hip dysplasia. She enjoys competitive sailing, swing dancing, knitting, and spending time with her cats, Ally and Bootsie Beane. Dr. Taylor received her bachelor’s degree in zoology from University of Maryland in 1986. She graduated from Virginia-Maryland Regional College of Veterinary Medicine in 1990. Dr. Taylor has special interests in internal medicine and endochrinology, as well as, exotic mammals and reptiles. She enjoys crabbing, running and baking. She enjoys visiting with her children and spending time with her dogs Lilly and Abbey and 2 cats. 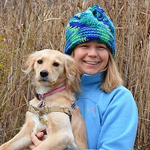 Dr. Murray received her bachelor’s degree from Middlebury College in 1996 and graduated from the University of Pennsylvania School of Veterinary Medicine in 2003. She has a special interest in internal medicine, pediatrics and ultrasound. Dr. Murray enjoys spending time with her partner Matt, their twin daughters and 3 dogs Willow, Fred, Lucy and Charlotte the cat. Dr. Talbott received her bachelor’s degree from The George Washington University in 1994. She graduated from the Virginia-Maryland Regional College of Veterinary Medicine in 2002. She has special intrests in dentistry, internal medicine, and geriatric care. 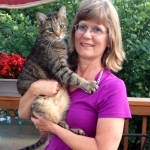 Dr. Talbott enjoys boating, hockey, and adventures with her husband Mark, son Nate, and marvelous mutt Maisie.